eHive makes collection management available to everyone and provides new ways for people to share and discover collections online. Read on for a brief overview of some of the system’s key features or watch a video tutorial to see the system in action. It’s easy to sign up online for a free trial of eHive. Subscriptions cover all software, server maintenance, storage and ongoing development. Once your account has been activated you can sign in and start cataloguing your collection. If you choose to allow public access, your collection can be viewed by others on eHive or shared with partner sites such as Trove and Digital NZ. You can view your objects in different layouts and can create create reports. 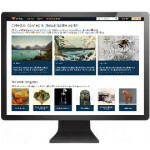 The homepage of a community has several tools that can be used to view, search and discover your collection. You can enable tagging and commenting on your records, and can set the copyright licence that applies to each record. Creating a Public Profile is a great way to tell the world about your collection.